Often overlooked, corporate culture is an integral part of a company. Whether it be written in the mission statement, spoken, or generally understood, corporate culture is like the governing hand of the company. Whatever direction it takes, forming a clearly defined corporate culture will not only attract potential employees, but it will shape the future of your business. Since the beginning we have had a very noteworthy corporate culture. So today we're naming a few things that make our corporate culture unique. 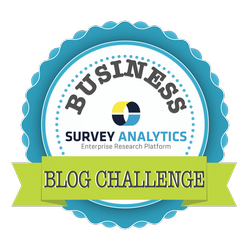 Survey Analytics in its present form started in 2010 in a garage in Issaquah, Washington. The current main office has since been moved to an apartment overlooking Lake Union in Seattle, Washington. In 2011 we opened an additional office in Cincinnati, OH and a development center in Pune, India. Today we have a total of 39 employees across the world, so we rely on services such as Skype, GoToMeeting and Yammer to stay in touch. Communication is one of the things that makes our culture unique - because we are spread out across the globe (literally), we have to go above and beyond to stay in the loop with our colleagues and to remain a tight-knit company. Our offices have a very warm and comfortable vibe to them. We have a mix of standing desks, a ping pong table, dart board, a couch, and one of the largest whiteboard walls imaginable. As we like to say, "We are dog friendly and cat consonant." We are also a fairly young company, with the average age being in the mid-30s. All of these seemingly small things add up and contribute to our fun culture at Survey Analytics. From the beginning, we have been 100% privately owned and operated. And since we have no external investors or venture capitalists, we have the freedom to make our own strategic decisions in order to reach our long-term goals. As a result, this has also had an impact on our corporate culture. We encourage employees to think freely and creatively to solve problems and satisfy our customers. We have little to no "red tape" that many bigger organizations have, which let us make decisions quickly. Our mission is, and always will be, to help companies listen. As we have evolved over the years from just making surveys, we have noticed a shift to a whole new paradigm meeting the needs of researchers of all sizes. We continue to move forward recognizing the importance of keeping up with modern technology while still staying true to our roots. Be sure to check out our Culture Code presentation on SlideShare!